Financial planning can show you where you stand today and if you are on track to reach your goals. 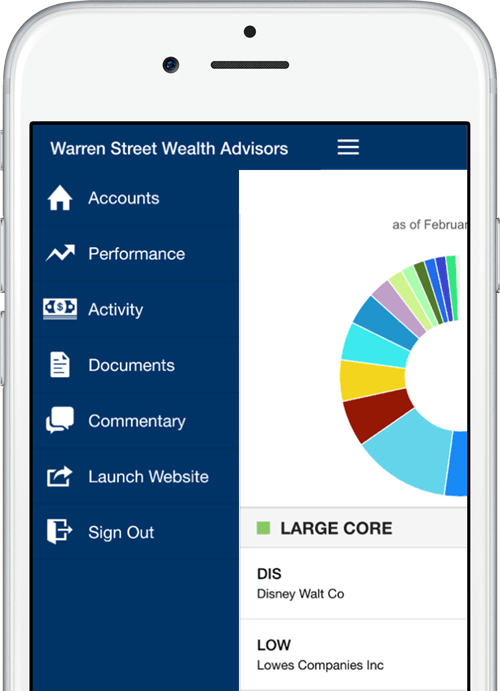 The problem is most financial planning processes use data that is manually entered leaving the plan susceptible to grow stale in just a few days. Having a plan is a great start but it can become almost useless with old data. How can you confidently know if you’re on track? Using our unique financial planning process, WEALTH DESIGNED, your plan can be connected to all your accounts like a mortgage, personal loan, credit card, IRA, and even a 401k. Imagine being able to see all your accounts in one place when you need it. That’s powerful. Having good data is like having a good friend. It is always there when you need it. Wealth Designed is more than great financial planning, it’s a feeling of security. Follow our commentary and get exclusive market insights.